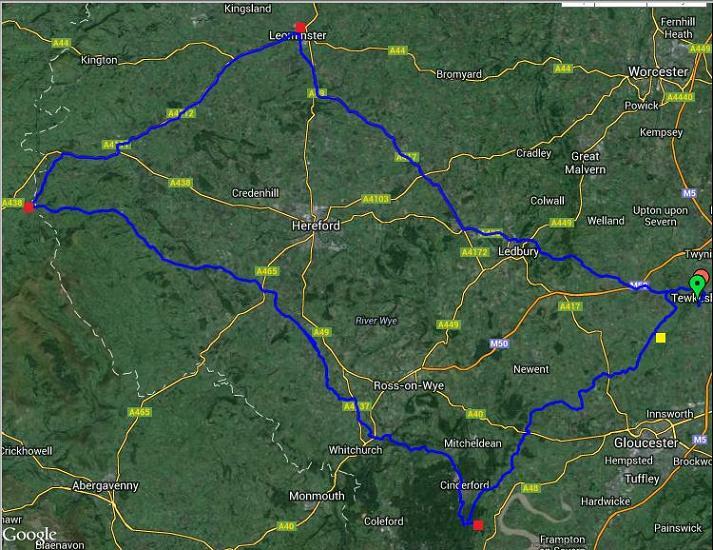 206km cycling event starting from Tewkesbury. Controls at Leominster., Hay-on-Wye. and Hopewell Colliery, plus 1 information control. An ideal final PBP preparation ride, as some stages are typical of PBP stage distance. Good quality controls used throughout the ride, all experienced in handling audaxers' requirements.